In the labour market of the future, workers in old and new economies may have more in common than projected, writes Sarah Kaine, associate professor in human resource management and industrial relations at the Sydney University of Technology. This post was originally published here on The Conversation. In a decision that has huge potential to itself “disrupt” the business model of market disrupters, the Californian Labor Commission has ruled that an Uber driver is an employee, not an independent contractor. So, at least in its home base of California, the smartphone-based, on-demand private driver service has been labelled an employer in the traditional sense and, as such, liable for the expenses of at least this one “employee”. 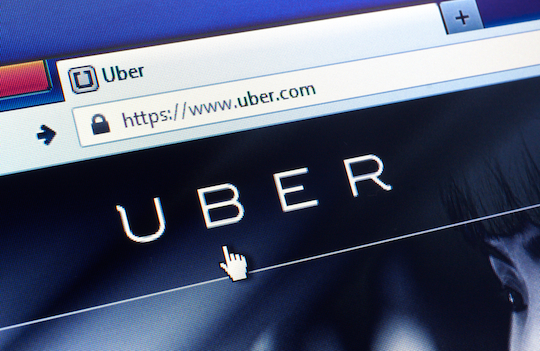 Uber insists the ruling is limited to that state – its home base – and that employee, but to consider why this ruling may be more important, let’s review the basic principles of the sharing/collaborative/gigging/contracting economy in which it operates. Essentially, under the business and economic model, work increasingly is carried out “at no fixed address”. Almost any service can be sought and found through online platforms that link consumers to providers. The benefit to the consumer is obvious in terms of convenience and competition, while flexibility is often cited as the key attraction for workers. Such flexibility is usually manifest in workers being classified as ‘independent contractors’ whose rate covers not only their own ‘wages’ but all other expenses, leaving an Uber driver, for example, responsible for costs such as the car itself, petrol, insurance and maintenance. Classification as “independent contractor” or employee is a vexed issue even in the old economy. The use of “independent contractors” is not new. In Australia, for example, owner-drivers have long been the mainstay of the road transport sector. Companies like Uber strenuously deny the existence of an employment relationship between them and the “users” of their platform – those providing the actual service to customers. Many “users” appear willing to provide freelance services. The advice from Australia’s Fair Work Ombudsmen is cautionary, warning against arbitrary categorisation. It lists criteria for determining the correct status that include: degree of control over how work is performed, hours of work, expectations of work, and risk. While there are obvious jurisdictional differences, these were the same types of principles used by the Californian Labor Commission in the Uber case and are at the heart of concerns about “sham” contracting. There has been a surge of interest in the misclassification of workers – or what we call sham contracting – and its implications for the sharing economy are not new either. The Fair Work Act (2009) describes such arrangements as occurring when: An employer attempts to disguise an employment relationship as an independent contracting arrangement. This is usually done for the purposes of avoiding responsibility for employee entitlements. Recent cases highlight the vulnerability of businesses to legal action when the employment status of those carrying out work for them is not clear. In 2014 supermarket giant Coles faced legal action regarding its liabilities towards contracted trolley collectors (although one step down the supply chain). At the 11th hour Coles reached an out-of-court settlement with the Fair Work Ombudsman, becoming a signatory to what’s known as an enforceable undertaking, committing to bringing in-house trolley collection services back in-house. While on the one hand this could be viewed as Coles taking moral responsibility, it did keep the issue out of the courts, where any formal decision could have set a precedent for the many hundreds of independent owner-drivers engaged by Coles. In Alexander v FedEx Ground in the US in 2014, it was found that more than 2000 FedEx drivers had been misclassified as independent contractors, with serious financial implications for the company in terms of back pay and future liabilities. Just last week FedEx agreed to devote $228 million to rectifying claims by drivers. So perhaps we should not be surprised by the outcome in the Uber case (although, bear in mind that the legal process is unlikely to end at the Californian Labor Commission), where the novelty of the case being about the sharing economy means it has attracted more interest than similar cases in the “old” economy. We should also not be surprised that despite the promise that is associated with many aspects of the sharing or collaborative economy – resource efficiencies, a disruption to individual models of ownership – the business model of the “for-profit” portion of the collaborative economy doesn’t point to a new paradigm. It is “business as usual”, with firms focused on being responsive to market demands while also keeping overheads down – and labour is a big overhead. In the labour market of the future, where workers are “free” to be entrepreneurs, unshackled from the constraints of binding contracts but also unencumbered by minimum entitlements, workers in the old and new economies may have more in common than they thought.